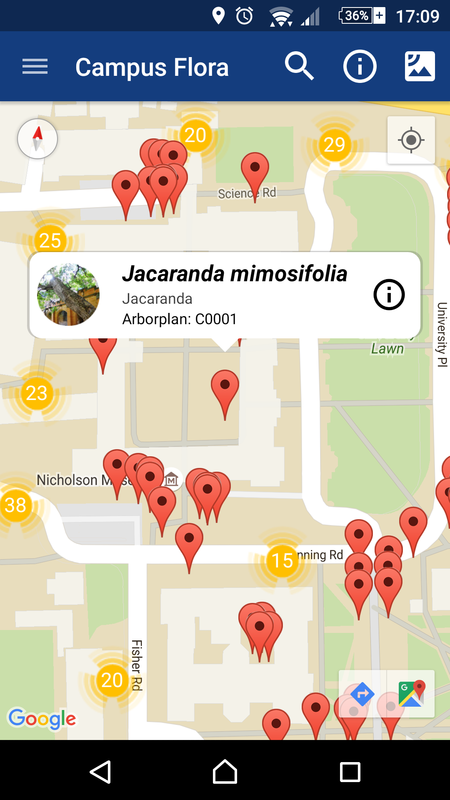 Campus Flora maps the locations of individual plants provides botanical information on each species. Trails highlight important aspects of select plant groups and align with the current botanical curriculum. Campus Flora extends the teaching of botany from the classroom into the University of Sydney campus grounds and enables us to share our learning resources with the broader community.